BACK ROW: 1.DonnaWilliams, 2.JudyGilman, 3._______(girl), 4.JohnPerkins, 5._______(boy), 6.TomKrammer(? ), 7.CharlesDavies. 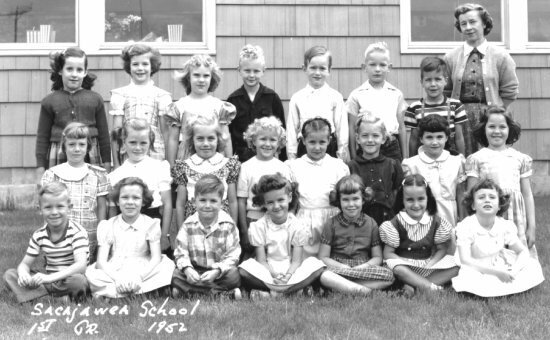 MIDDLE ROW: 1._______(girl), 2._______(girl), 3.LeslieJensen, 4.AnitaCleaver, 5.MaryAnderson, 6._______(girl), 7.MaryJaneBrady, 8._______(girl). FRONT ROW: 1._______(boy), 2.SusanWarren, 3._______(boy), 4.SandraJenkins, 5.BarbaraHowe, 6.LeomaColes, 7.SusanHokansen.